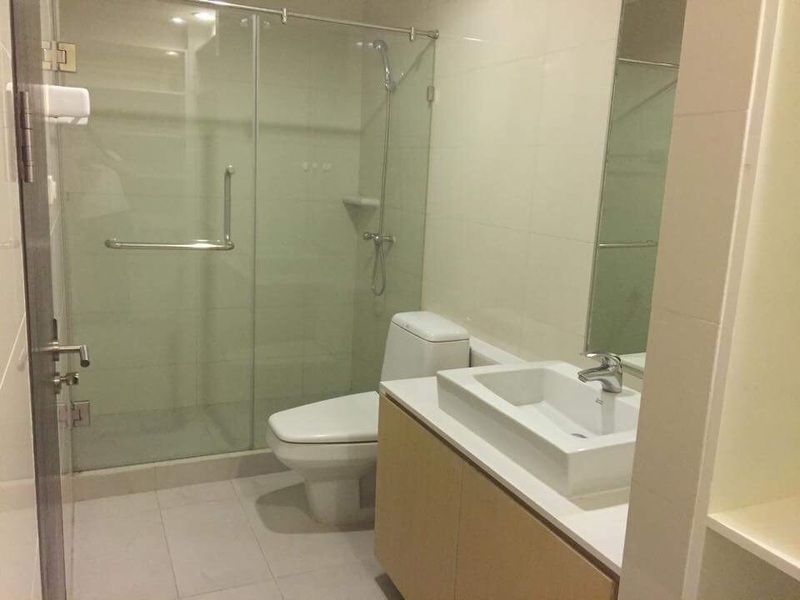 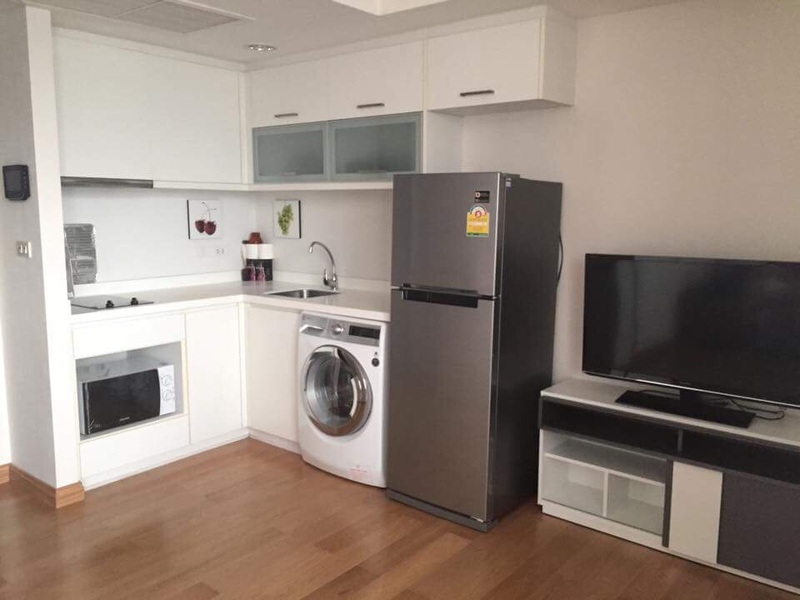 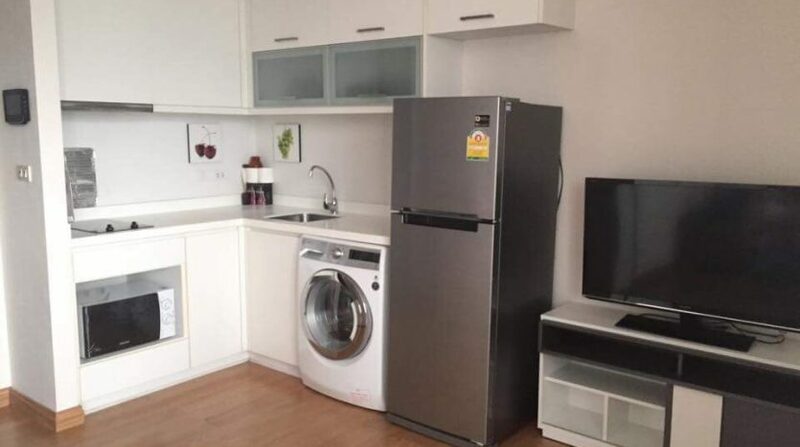 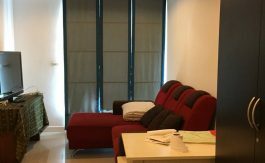 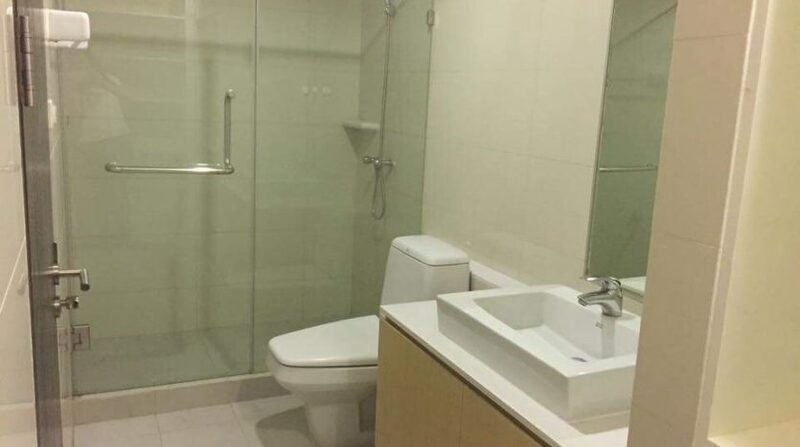 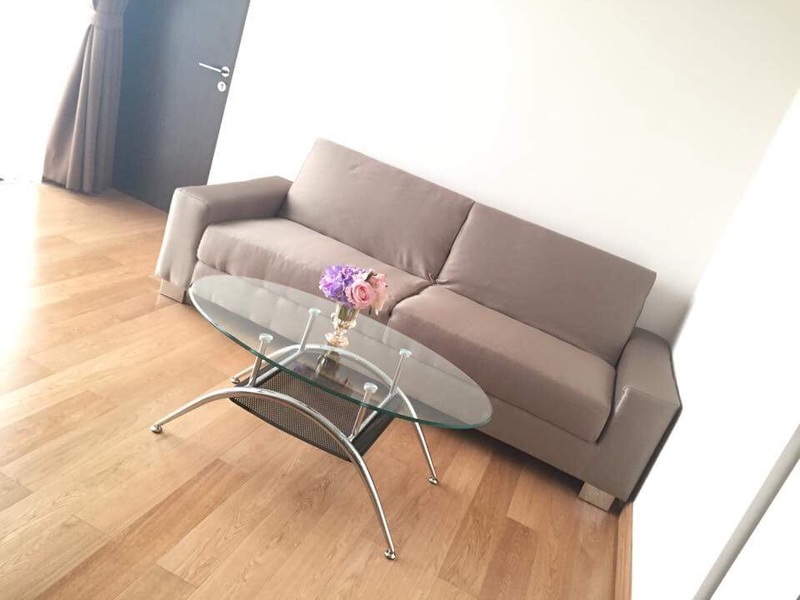 This well designed One bedroom condo spreading over 46SQM is now for rent on Thong Lo Soi 10. 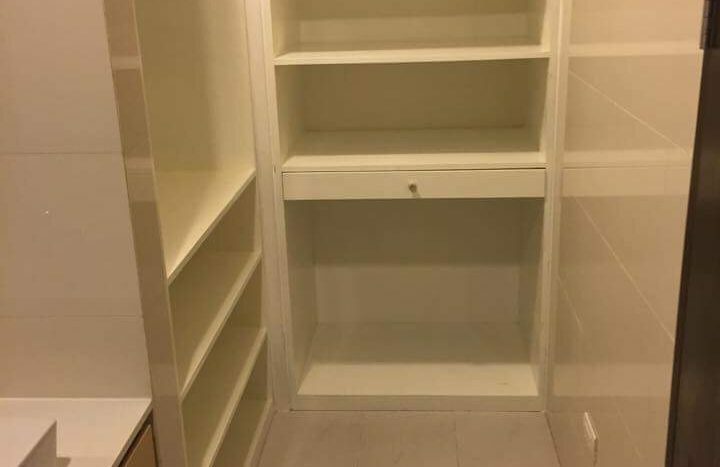 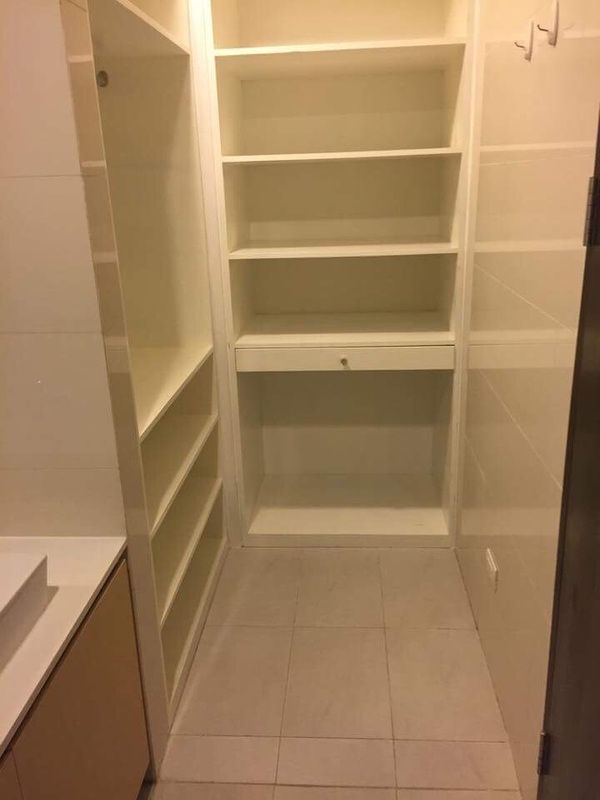 This corner units unique design makes it an ideal unit for a young professional. 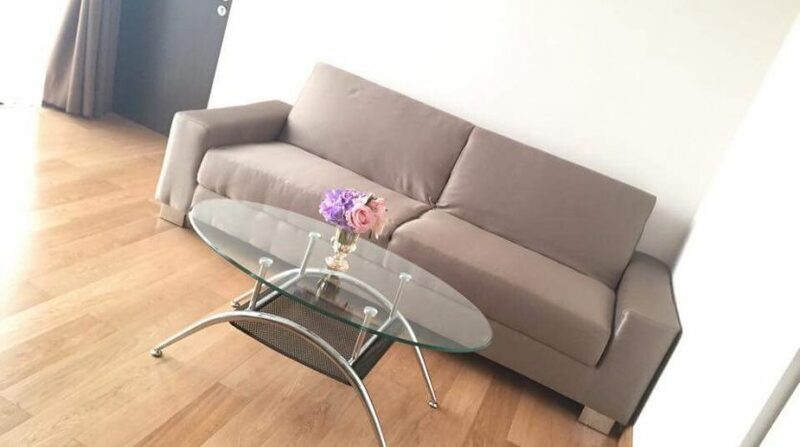 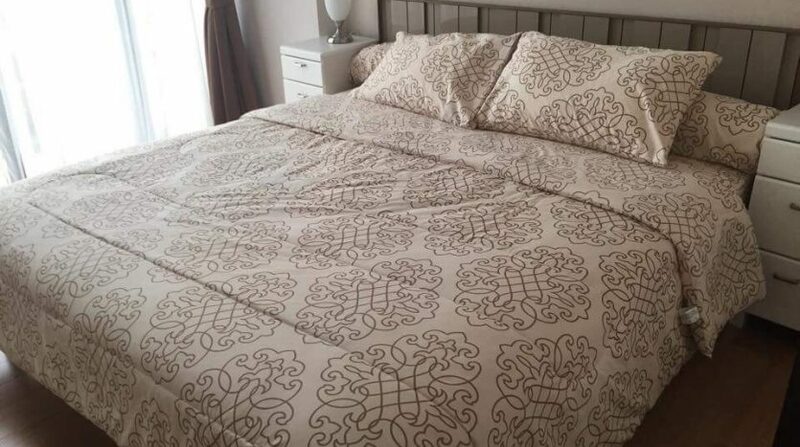 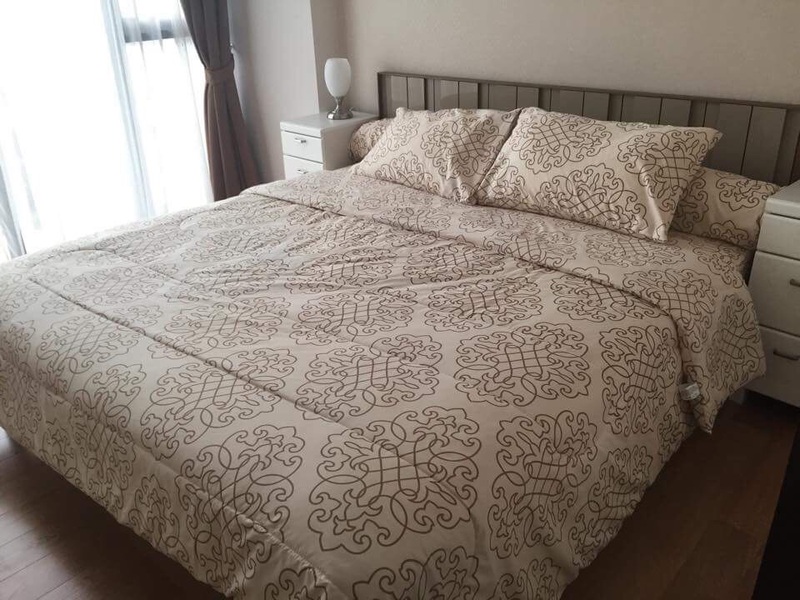 Fully furnished with bright decor throughout, the unit comprises of a spacious living area, open plan kitchen with dining table, Large double bedroom with plenty of wardrobe space, en-suite and a balcony with unblocked views. 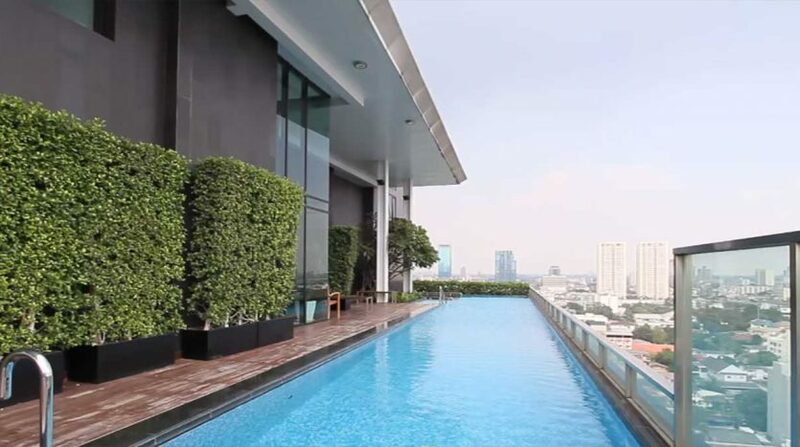 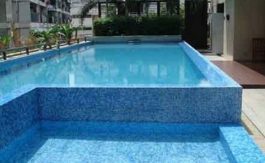 This unit makes a great home for anyone working along the BTS line and for anyone who requires a nice roof top swimming pool and gym. 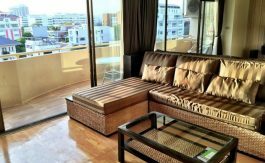 The condo has 24hr security and cafes/restaurants within the facility.